Morgan blew it out of the water. As a general contractor, I would say my decision to hire Morgan for this mural is one of the best decisions I have made in terms of impact of my work. Every kid will remember this mural as long as he or she shall live. Watching a child see the mural for the first time is an experience words can’t describe. It’s mesmerizing to them. Adults too, for that matter. It’s a show stopper. So much better than I could have ever imagined. I would go out of my very busy way to recommend Ms. Morgan Bricca on every possible level, with no hesitation. Please feel free to call me if you are considering hiring Morgan but can’t quite take the leap. I will be glad to push you in. 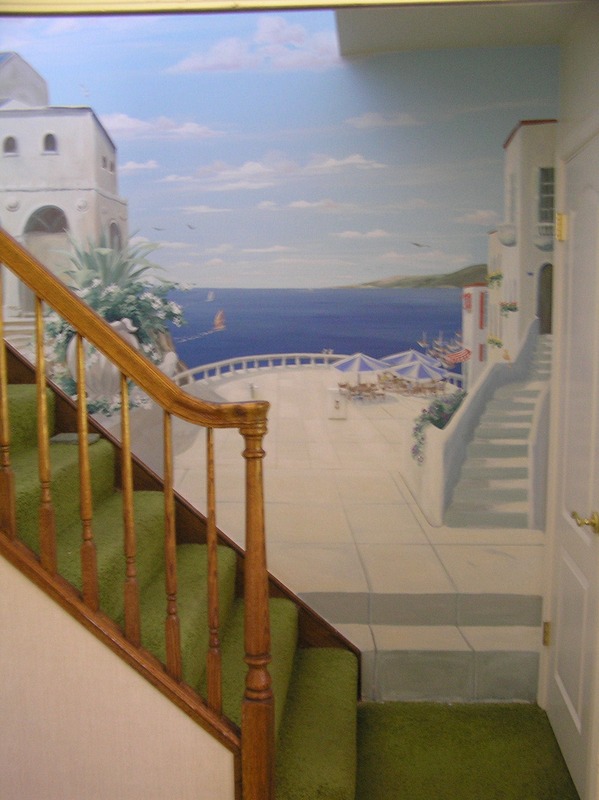 View more commercial murals Morgan has painted for clients like Chris. Morgan offers a unique collaborative approach with her clients. On our project, she struck the perfect balance; she listened to our ideas and feedback but very much maintained her role as the creative expert, making us feel comfortable the entire time. I would absolutely recommend Morgan with no hesitation. With all that she has done, she is going to find the right approach for just about any client. View more commercial murals Morgan has painted for clients like Jonathan. The real value and pleasure of working with Morgan was that we connected with her. She was very personable, very sincere, very collaborative, but not one to sit back and let us lead it in a wrong direction. We trusted her completely from the past work she had done for us, and told her, “here is a wall, do something with it – surprise us.” It’s like dealing with a friend. The murals she has created for us make our home more intimate, warm, and personal. I was surprised at how quickly she worked, how easily it got done, and how watching the process was enlightening. It just flowed; it was like watching a very large masterpiece being created before our very eyes. It was especially interesting when she got into the tonality and the tints. For us, it turned out better than we could have expected. I absolutely recommend her without a doubt. 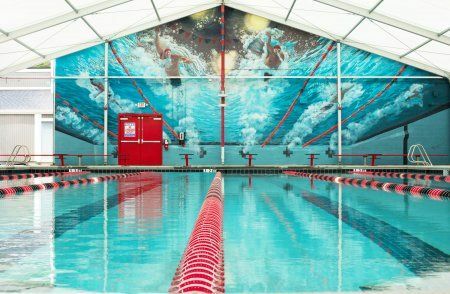 View detailed photos of the tropical mural Morgan painted for Sandy. 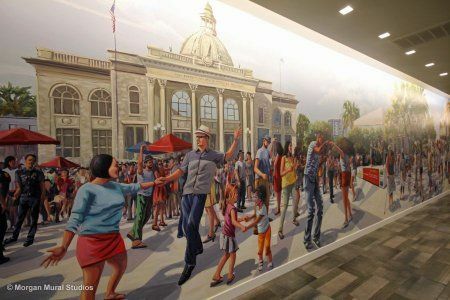 Morgan, the mural you created for our building has been a major attraction for both locals and visitors in Downtown Napa. The transformation of an eye sore, to a work of art, has been nothing short of amazing. I feel a little guilty receiving so many compliments for your work, however that doesn’t stop me from stealing part of your credit. Your attention to detail and sensitivity, bringing the Wappo tribe into the process, unified Napa’s residents with its history. 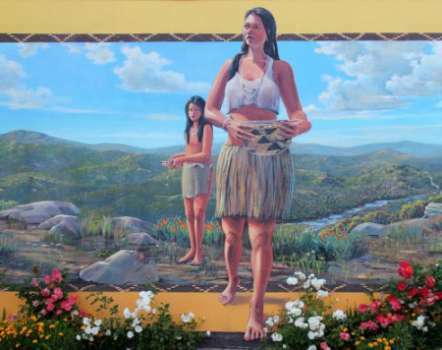 This public recognition of the Wappo Indians is long overdue, reminding us all of a different time in the Napa Valley when nature and people could live harmoniously. Every day, as I watch children and adults transported to an earlier time in the Napa Valley, I appreciate your ability to be the vehicle for their journey. I hope soon you will return to sprinkle some more fairy dust on another wall, so I can watch your magic talented creations at work. 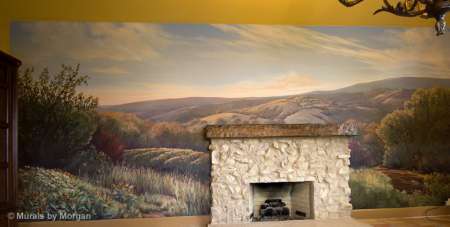 View detailed photos of this mural in downlown Napa Morgan painted for Michael. We had an end of the school year party at our house and everyone raved about your mural. I see your name and date, 2012, on it and can’t believe it was 4 years ago. Just wanted you to know it brings me joy every day. I have worked with Morgan on five mural projects at our house over the past six years. I love her work and she is a pleasure to work with. Once you see how transformed your space is by the first mural, it is easy to start seeing other rooms that could benefit from a “Morgan”. 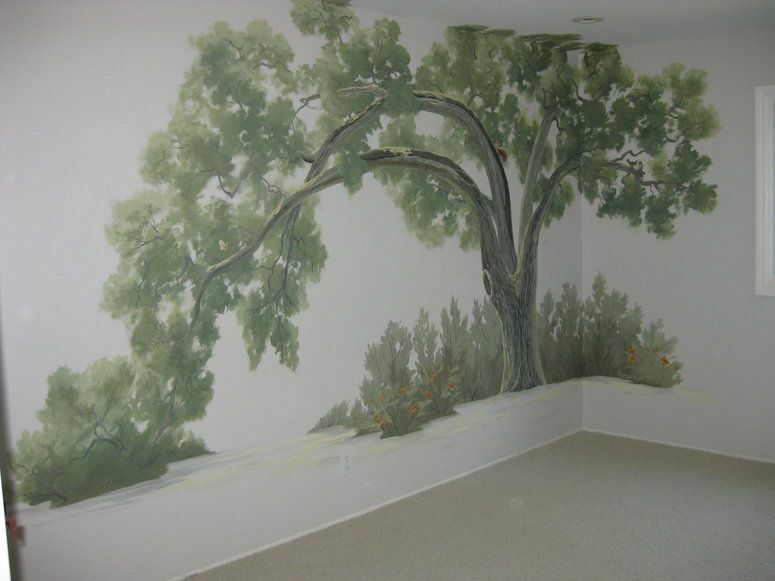 View more photos of landscape murals Morgan has painted for clients like Susan. Morgan’s work is exquisite. She loves what she does, works extremely fast, and is a true pleasure to work with. Without fail, anytime someone comes to our house who hasn’t seen the painting, they comment on it and how much they like it. 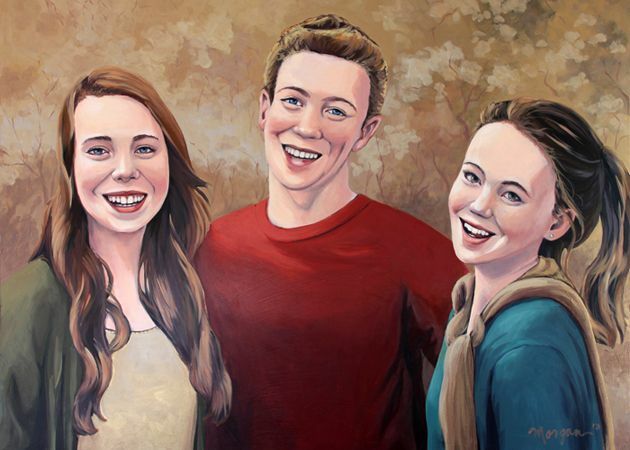 View more fine art paintings on canvas Morgan has painted for clients like Adam. Morgan donated her painting talents and created stunning Hawaiian murals for a playhouse I designed for Rebuilding Together: Dreams Happen fundraiser. The playhouse was then auctioned off and the proceeds benefited a wonderful cause. 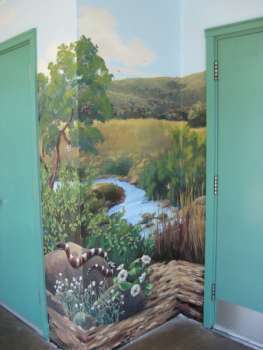 It was a successful project in large part due the beautiful murals Morgan created. They brought the playhouse to life and captured people’s imaginations. The aloha spirit emanated from the images – you could almost feel the water, touch the foliage and feel the warm breezes of Hawaii. Morgan herself is magical. I left the images up to her and she came through with an end result that went beyond my expectations. She is a pleasure to work with and amazing to watch paint – her talent is incredible. 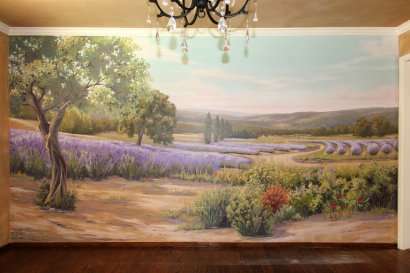 I would highly recommend her as a muralist that can add magic to any room or surface with her paintings. 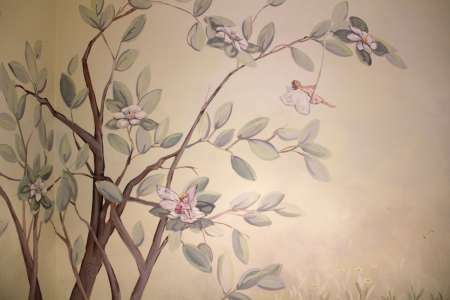 View more decorative murals Morgan has painted for designers like Cara. Morgan is amazing! 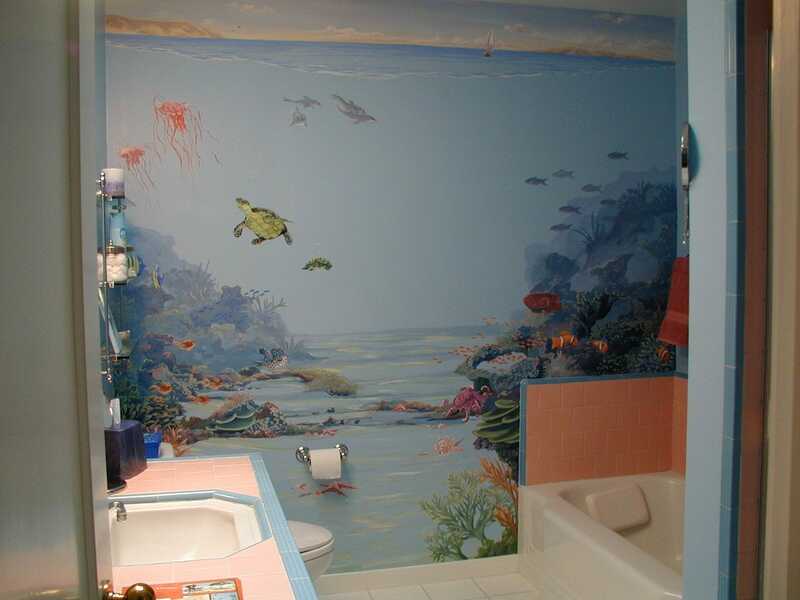 We first had her design and create murals in both of our daughters’ bedrooms. Each child has their own interests and color schemes (one is pink and pigs, the other is purple and horses). Morgan made sketches in advance and met with both myself and my girls to talk about ideas, themes and things she had created in the sketches. She then had each girl help with the final execution of the murals. They are amazing and unique and each of our girls is still SO thrilled to have them (over one year after completion!) Should you ever want to look or talk in person, I am happy to talk to you. Onto a second and even BIGGER project, our school’s PTA hired Morgan to paint one wall of our Multi Purpose Building. It is our hot lunch center, our chess club, our music department and many other things all in one. Morgan again sketched ideas and talked to the PTA Committee and teachers about her ideas and thoughts on what should be represented in the mural. She allowed children to talk to her and give her ideas daily as she painted the final product. We get so many compliments from parents and campus guests on the mural. I always, always, always am the first to recommend Morgan for ANY mural project, big or small. Please feel free to contact me or set up a time to meet at my home or at the school to view any of the murals I described above. Lastly — she painted some unusual food characters on the walls inside the Multi Purpose Building that are out of this world and so interesting to the kids (with a self defining key in the right hand corner). Morgan IS out of this world talented! 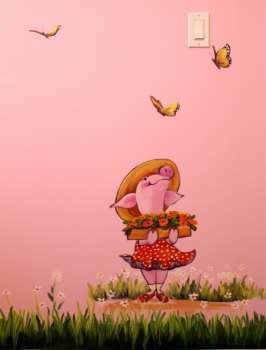 View detailed photos of the Playful Piggies mural Morgan painted. We asked Morgan to create a mural for our baby boy’s nursery. The result was magical! We gave her just a few thoughts on what he had in mind and she turned it into a beautiful work of art inspired by the Marin landscape. There are wonderful details throughout the mural — antique planes, balloons, ducks, sail boats, ferries. You could look at the mural for hours. 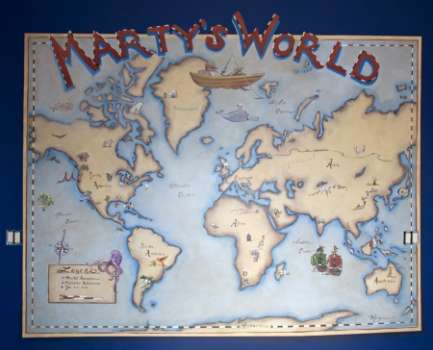 And the mural is perfect for a little boy’s room. It is calming but still fun. Every time I walk in the room I am struck by how much I love Morgan’s work. And everyone else who sees the mural says how much they love it as well. Plus Morgan was an absolute pleasure to work with. She was open to our ideas and feedback, and was very flexible. She even returned a few months later just to write our son’s name on one of the elements. We are so happy that we found Morgan and highly recommend her to anyone looking for a muralist in the Bay Area. Morgan is an extremely gifted artist that we hired to paint a large mural at our school. As the PTA president that hired and managed her, I highly recommend her work! She gave a few different visual ideas, worked with a small focus group to gain consensus, and then executed her wonderful “product” while including a range of children in her work! She even let the children that were interested help her paint. Morgan is amazing- she really is a special artist! 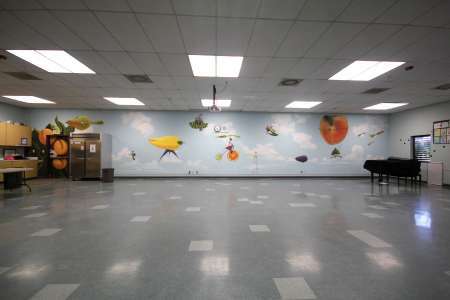 View detailed photos of the “Food Flight” mural and the Los Altos orchard mural Morgan painted for Santa Rita Elementary. Working with Morgan was an absolute pleasure. We had a couple of quick meetings to get to know each other and talk through the concepts I wanted for my children’s rooms. Morgan was creative, made lots of great suggestions and quickly came up with a plan for two very different concepts (one for an older child and one for a baby). She was sensitive to budget and we also discussed artistic ways to make the murals last (e.g. more lifelike animals rather than cartoonish). Once Morgan started our project, I was amazed by how quickly the murals were done. She and I talked through elements I loved and wanted to enhance and also a few changes I wanted to make. Morgan was very receptive to my feedback and implemented every little idea I had (and that my children had) the next day. Even with my last-minute requests and edits, Morgan completed the projects on-time and budget! Morgan is a great artist and a very professional individual. She brought a huge amount of feeling to the murals in my children’s room and really wanted them to be perfect and make sure that we were all happy. Everyone who comes to our house loves them and I would happily work with Morgan again. View detailed photos of the african safari mural and the railroad adventure mural Morgan painted. I have so many wonderful things to say about Morgan’s work. It’s hard to know how to start. After a lot of debate about how to decorate a long, narrow hallway in our home my husband and I decided to look into doing a mural. 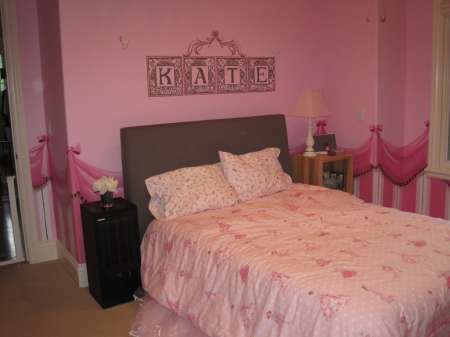 The space was awkward 18 feet long x 22 feet high and was the space that our daughter’s bedrooms opened into. We saw Morgan’s van with her website advertised on the side and decided to give her a call. She returned my call with in the hour and scheduled a time to come see the space that same day. We were thinking of an underwater theme…and I had no idea what or how we could transform this space into something beautiful. Morgan was so perceptive, creative and thoughtful. She really listened to what we wanted and was able to transform our ambiguous ideas into something that far exceeded any of our expectations. 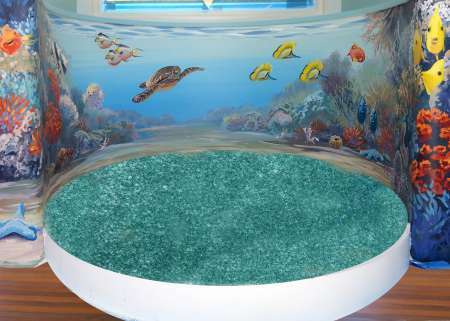 The space is now filled with what looks like the most beautiful Hawaiian aquarium ever. There is a giant lifelike humpback whale and calf that descends into the space from up high and gorgeous coral reefs, fish, seals, turtles, seahorses and vibrant colors. She did some glow in the dark paint as well….so at night the schools of fish and jellyfish light up. Amazing!!! Our daughters love it!! We have people come to our home and stare in awe at the work! Morgan worked quickly and professionally and was always a treat to have in our home. 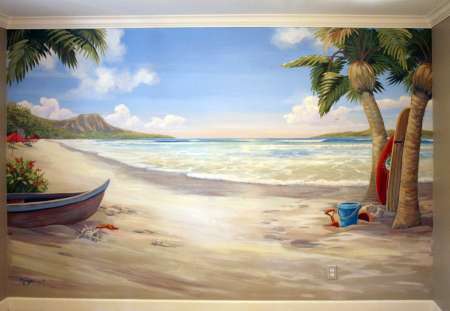 We loved her work so much we decided to have her do our daughters room as well with an island and ocean scene. We love it!! 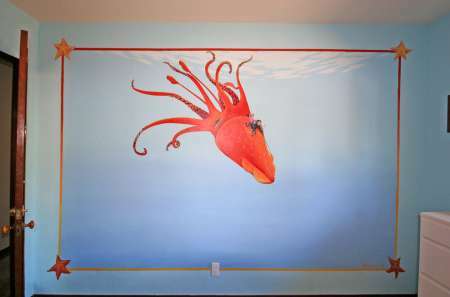 View detailed photos of the humpback whale ocean mural Morgan painted for Jill. Morgan painted a mural in my kids’ room. She created a custom fanciful design based on a few of my children’s interests. She was super fast, efficient, and very professional. Plus, she’s a pleasure to work with. We love the mural and would definitely hire Morgan again! 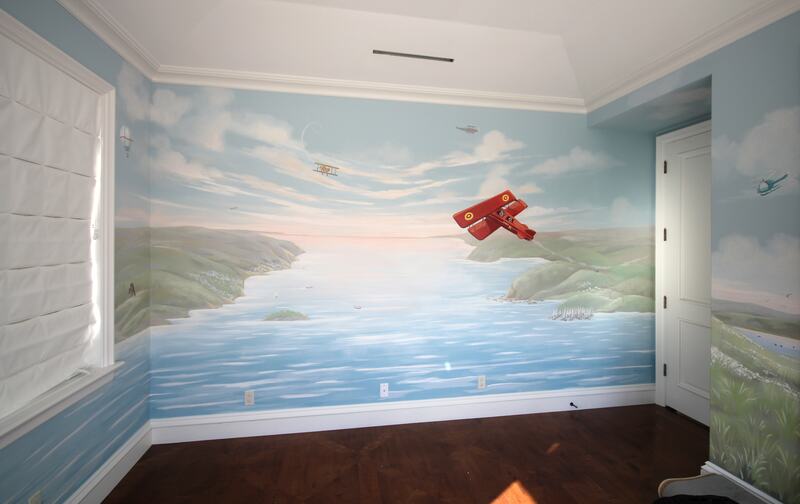 View more kids murals Morgan has painted for clients like Sandra. We were so relieved when we encountered Morgan’s professional approach to the business side of things: providing us with a clear estimate, negotiating a fair and reasonable contract, understanding our needs, communicating with us on a frequent basis, and completing the job on time. The artwork exceeds expectations. Thank you, Morgan(angelo)! 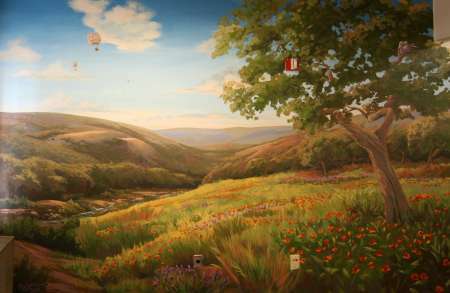 View detailed photos of the Mexico landscape mural Morgan painted for Skip. I had the idea to put a mural to help expand the space in our small backyard. I came across Morgan’s website with on an online search. Her work seemed to be just what I was looking for. After meeting with her it seemed like we were in sync with what I wanted. I am so happy with the results. It is exactly what I was looking for. It makes the area feel larger and creates a tranquil sort of retreat. The mural has the colors and vibrancy that connects with the other pieces that we’re bringing to the yard. I couldn’t be happier with the results. 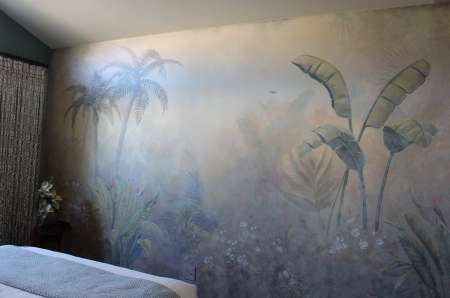 View detailed photos of the tropical garden mural Morgan painted for Holly. Morgan is truly a gifted artist who delivers amazing work! 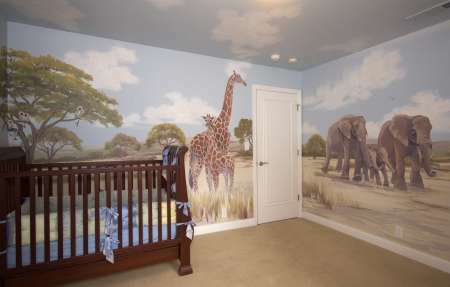 I had been searching for a way to make my son’s jungle themed nursery look special for quite some time. I looked into everything . . . artwork, decals, puffy characters on the wall, etc. After seeing photos of different murals online, I did a quick google search for muralists in the area and found Morgan – thank goodness! She came in, listened to my ideas, evaluated the space and gave me her impression of what she thought would look best. 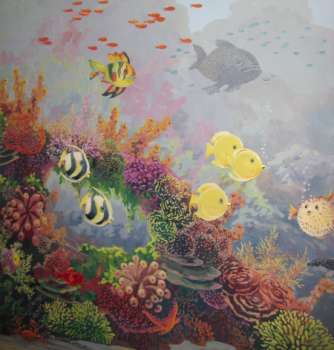 I was able to look at examples of what she had done in the past and with her guidance, chose a mural which ended up looking FABULOUS and was exactly what I needed to spruce up the room and make it look special for my son. My jungle themed nursery which previously consisted of a few stuffed animals and pictures on the wall, now has lush, tropical trees framing the crib complete with a monkey hanging out on one of the branches. It is absolutely perfect. She actually modeled the monkey after the one featured in a picture I already had in the room, so everything matches beautifully. She was extremely professional, easy to talk to and a pleasure to have in our home. I can’t say enough about her impressive talent – the work speaks for itself. It is exactly what I wanted and not a cookie-cutter piece of art. I truly have an original work of art made especially for my son which will last for years to come. View more reviews about Morgan on Yelp. Morgan, your mural has turned out to be a real focal point in meeting with my clients. People all feel like they are outside and it is uncanny how you brought in the outside scene right into the one you painted. It’s like your mind instantly transports effortlessly from Alamo and Mount Diablo to Tuscany! Just a fantastic job and I really cannot thank you enough for the skill and dedication you have put into your work to become such an accomplished and expert muralist. 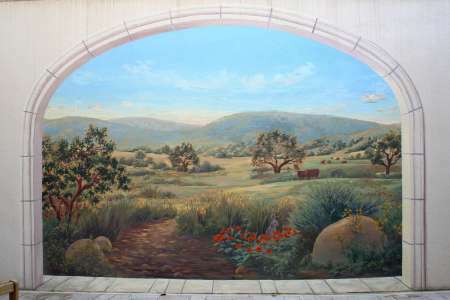 View detailed photos of the California landscape mural Morgan painted for the Del Monte Group. Morgan, I can’t tell you how pleased Derek and I are with our beautiful mural. It changes the whole feel of that part of the house, adding so much interest and warmth. Every time I walk into the kitchen, it makes me smile. Please feel free to use us as a reference. If you have any potential clients that would like to see an example of your work in person, we’d be happy to share our lovely mural with them. Likewise, I’d be happy to give your cards to interested people, if you send me several. Thank you again for the beauty that you’ve brought into our home and our lives. Your upbeat, warm, and generous personality is reflected in your work. 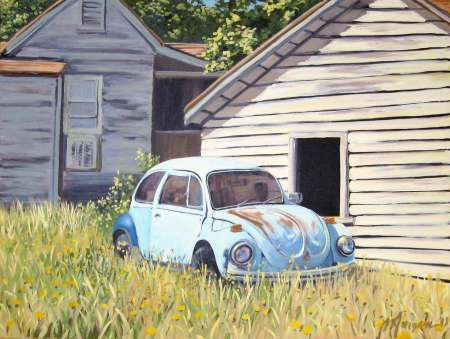 Your memory will always be a part of the positive feelings that your painting brings to our home. Once again your magic wand has created a visual mural that captures symbolism on multiple corners of our lives…Your heartfelt creativity has surpassed my expectations and vision beyond words…It has already become a treasure to behold and over time no doubt it will become more and more special to each of us reminding us over and over the magical times we shared together her and around our neighborhood of Palo Alto. 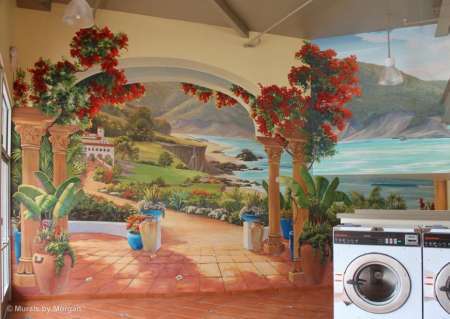 It is a pleasure and a privilege to recommend muralist Morgan Bricca for your next mural project. The development of a memorial reading garden at our school brought Ms. Bricca to us. 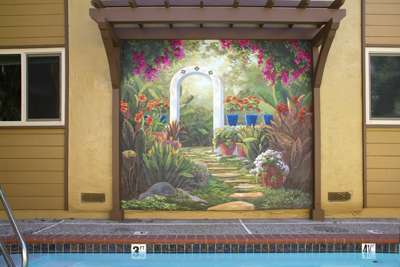 We needed complementary visual images on exterior walls of an adjacent building to enhance the garden’s landscaping and overall appeal. Open and receptive to plans and ideas generated by contributors to the project, Ms. Bricca developed thoughtful drawings of our collective notions about how the mural might look. We fine-tuned them together and finally turned her loose to do her work. Spanning two lengthy sides of a wing, the final rendering was perfectly suited for the immediate garden. Remarkably, it also merged visually with the campus environs, the neighborhood, and the nearby mountains. 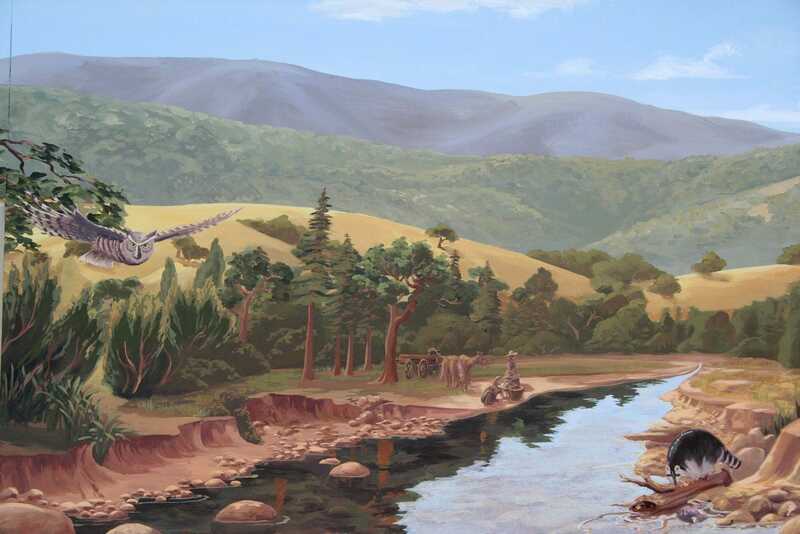 Viewers of the mural from afar often had trouble distinguishing the painted surfaces from living shrubs and trees in the foreground and background. Ms. Bricca’s remarkable talent as an artist was equally matched by her work ethic. A self-starting individual, she worked methodically and carefully on the project. With no prompting from us, this gorgeous piece of art unfolded before us in a very timely manner. Ms. Bricca’s work captured the imaginations of more than a few students, who watched her paint during their recesses. She graciously fielded student questions and comments, serving as a teacher to aspiring artists fascinated by her work. Indeed, all who worked with Ms. Bricca found her to be very agreeable and collaborative. Because Ms. Bricca is a fabulous artist and fine collaborator, I urge you to give her the utmost of consideration for projects you might have in mind. 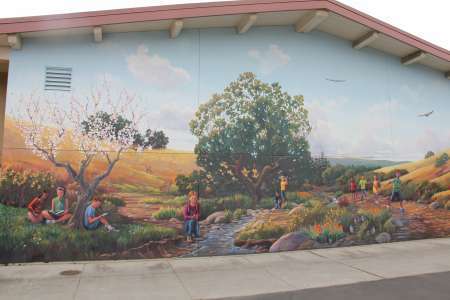 View detailed photos of the California wildlife mural Morgan painted for Juana Briones School. I just want you to know how much I am loving the dining room mural. Once again, you far exceeded my wildest imagination and dreams for this wall. I’ve waited and looked for years (over 10 to be exact!) to have the right thing that both Ken and I could agree on. I just adore the way the room is open now on a big, windowless wall! You are sooooooooooo talented Morgan and calm, and centered in the midst of the child care and new baby and on and on it goes. How you do it all boggles my mind. Thank you so much for creating such a beautiful feel to our entertaining area and for our own personal enjoyment…..